I searched for threads on this company over Valuepickr Forum, but I could not find one. So I thought of initiating the same. Following are some interesting facts about this company. Company is in the business of Cyber security. I can say huge tailwind is there in the business. Thanks to recent global ransomware attack like wannacry, lauki etc. Promoter has around 73% stake in company. So it fits the “Skin in the game” test. Promoter has build this business from nowhere, they come from very humble background and still appears to be very grounded during interviews. Company is available at market cap of mere 1600 crore. Company is debt free and holds around 300 crores of cash. Although a large portion of this cash is earmarked for R&D activities. A large spending on R&D is good for this type of companies. Company is focused on brand building, they were co sponsor for Pune IPL team. Veteran investor Mr. Ramesh Damani has many times showed his inclination towards cyber security business. I assume that he holds a significant stake in the company, though it does not appear in exchange submitted shareholding data. Remember he was amongst the first few investors who identified the potential of Infosys way back in 1992. Company has not shown meaningful revenue growth since it’s listing. But it may be fair to assume that we may see high traction going forward as company is focusing on providing services to SME sectors. Typically SME sector can’t afford dedicated team for cyber security. Disclosure : Invested, but still testing the execution. Kindly provide your views. I am a keen follower of security softwares and I have never been a fan of Quick Heal. They have just OK type detection. They are no better than free securities of Avast, Avira etc. In fact in the consumer space most are using these free products. In the paid category the global players like Kaspersky, ESET, Norton etc. offer products in significantly lesser price. Their main target area is institutional purchase. Here also I am seeing that the institutes are increasingly preferring global names like Kaspersky or Symentec. Their main strength is good advertising and tie-ups with retailers who tends to push their products during computer purchase or repair. Hi, I was quite keen on Quick Heal as it was a venture backed, zero debt cash rich company. 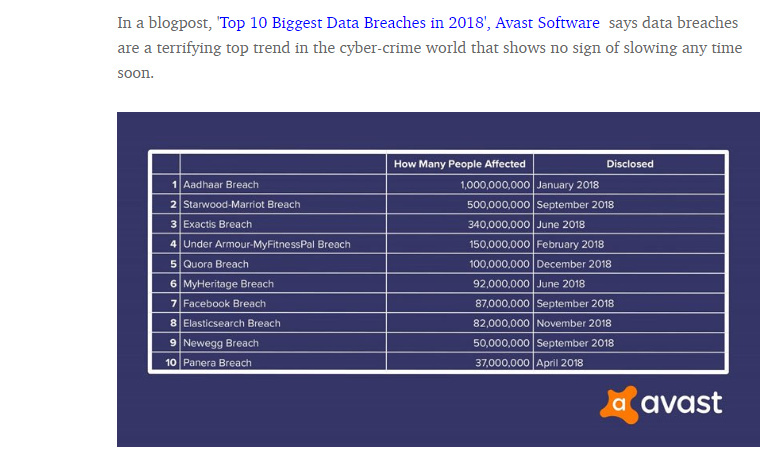 However, on the B2C front, if one compares it to Avast, Kaspersky or any other large anti-virus provider, its numbers just do not stack up meaningfully. I also do not like the company’s distribution model, reliant on multiple layers of agents, which pose hidden working capital risks. I personally think Avast’s freemium model and self service, internet based distribution at zero cost and minimal marketing and zero working capital makes this market a winner take all. Particularly, I think Quick Heal will miss the boat in the mobile security segment (active mobile user base actually shrank). Do not see Quick Heal growing rapidly on the consumer facing side in the face of massive competition. I also think it is v uncompetitive in international markets. On the B2B side, Quick Heal may have niche opportunities with the Government due to national security concerns, and SMEs. However, these are risky and difficult segments to crack, and distribution costs are high. B2B growth, transition to SaaS and realizations per client will need to improve significantly in the next year for a healthy growth story. Company’s in IT/cyber security do have lot of cash in Balance Sheet as there would be no regular capital investment. Quick Heal is one of the many players in this area. But their reach is not that as of Avast or Kaspersky. Avast is really good and when I speak to Computer dealers QH is not their first choice. Its in a very competitive and dynamic industry. You need to spend a lot on R&D and be at par with competitors products. Your products also lack pricing power in such cases. 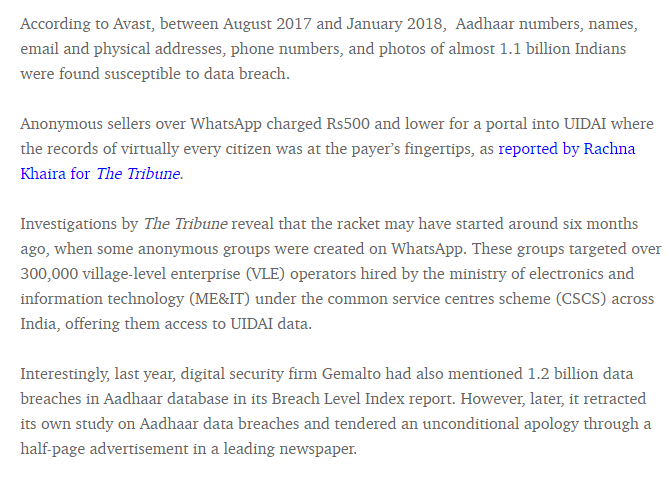 Cyber security market (now with the mobile antivirus) in India is still at the nascent stage. Revenues will grow and so will the profits as the market is huge but I dont think it can outplay its competitors but then we do know the future. On the B2B side, Quick Heal may have niche opportunities with the Government due to national security concerns, and SMEs. Quick Heal Technologies Limited will be collaborate with Indian Computer Emergency Response Team (CERT-In) for its ‘Cyber Swachhta Kendra’. CERT-In will be providing Quick Heal’s ‘Bot Removal tool’ free of cost to its users. The indigenously developed tool will continuously monitor the threat landscape for new bots and prevent them from damaging the user’s device by creating an antidote for every bot. 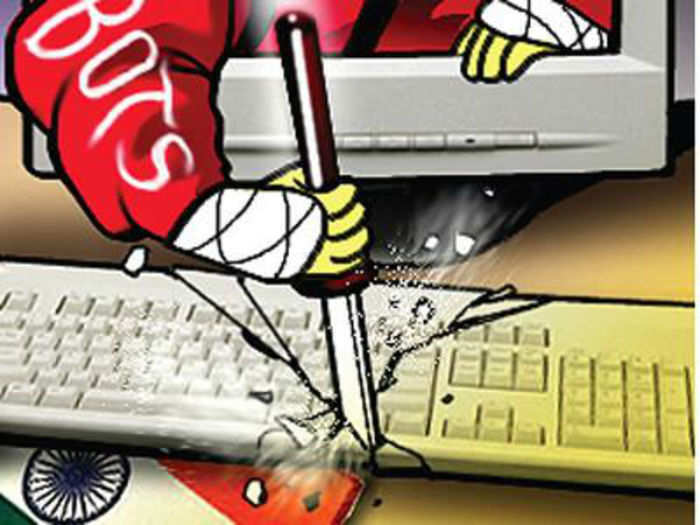 Quick Heal to support the ‘Cyber Swachhta Kendra’ by providing its ‘Bot Removal tool’ to CERT-In and will work closely to curb cyberattacks, b..
[quote] IT security firm Quick Heal could soon enter into IoT, encryption and cloud security market as it looks to acquire companies in these domains. “We are looking for acquisitions in the areas of cloud as well as encryption. We are planning to add next-gen products. Currently, we are in talks with a couple of global companies,” Sanjay Katkar, Managing Director and CTO, Quick Heal Technologies, told BusinessLine. Another big competition of Quick Heal is with Jio Security. For Jio Prime users (essentially every Jio subscriber) Jio Security (Android) is free. Jio Security has licensed the paid version of Norton in their product. I am almost certain that they will also launch Jio Security for PC & Mac once the Jio broadband becomes public. Yes they were testing the free Russian version for quite some time. Thanks for sharing that the English version is launched. So now we have free real-time antivirus of Avast (AVG merged with it), Avira, Bitdefender, Kaspersky, Sophos, Fortinet, 360 Security (Don’t forget Windows Defender which comes integrated with Windows 10) etc. ; on demand antivirus of ESET, Emsisoft, eScan, Malwarebytes etc. How would Quick Heal compete in consumer space with their paid products which are priced more than Global Player’s paid version !! Add to it the competition from Jio Security!! According to some reputed tests Quick Heal’s detection in recent time has improved drastically. Check Virus Bulletin & AV-TEST. However, this is because Quick Heal has started using Bitdefender Engine in some of their products (Total Security), especially the ones they submit for testing. Check here, here & here. It would be a boon if QH indeed starts to use Bitdefender engine in all its product, because their in-house engine has been mediocre. However, if they starts doing that, then their mergins will be hit further, because they will also have to keep the prices reasonable. Original Bitdefender products have better efficiency than the products which license BD engine and these are already available at significantly lower price than QH products in retailers and e-tailers (here vs here). Nonetheless, Bitdefender has a free version with realtime protection. You can also find free realtime antivirus with BD engine (here) and also free on-demand scanners from companies that license BD engine (here & here). It is worthy to mention that their Firewall engine is also sourced from Outpost Firewall. Disc: No holdings. I have no personal propaganda against QH. In fact, QH was the product I used first time to clean my PC from malware infections. I would love to see an Indian company competing with the global giants in its own merit, and not just by advertising power and market reach. Thanks, @sujay85 for updates. I discussed with a couple of my friends working in Information Security industry a few weeks back and they didn’t sound very optimistic about Quick Heal’s ability. In their words, it will take few years for Quick Heal to match the leaders like Bit Defender and Kaspersky. Having said that I think it big positive if they decide to use Bitdefender Engine it will save substantial R&D cost but I do agree we will have to keep a close eye on how margins will get impacted. How the freemium model of global player works. How do they get revenue. How do they manage their R&D expenditure. 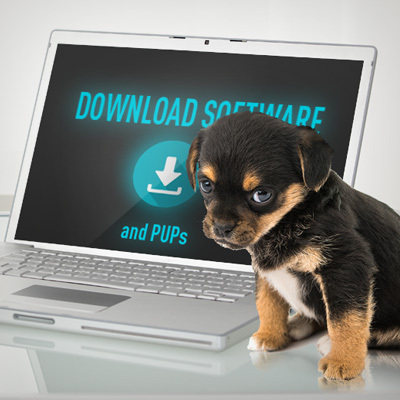 Avast also offers PUPs during the installation. Toolbars, adware, plugins or other downloads sneak onto your computer while installing free antivirus software. 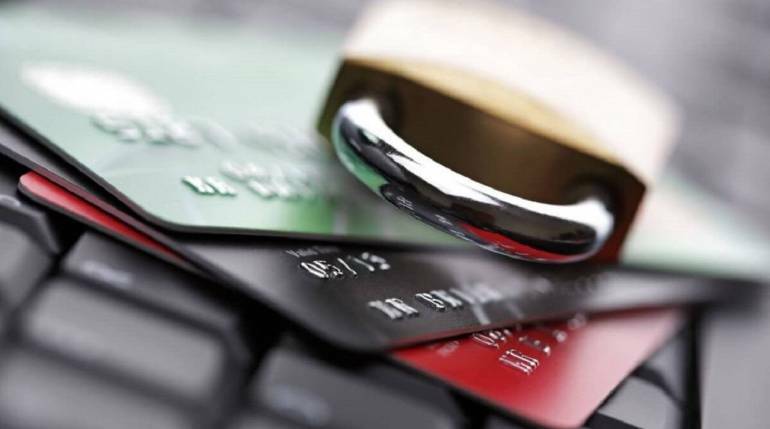 Its popular free consumer security software leads to plenty of sales. Avast is a successful example of companies that take the "freemium" strategy. As windows and other programs continue to get cloud based and Microsoft store develops like apple, there will be less need for security solutions. Currently most window copies are pirated, so you need a good antivirus. I personally use Norton internet security. Working capital efficiency of Q2 (YoY) shows marked improvement. Thanks @anshuljain791 for creating this thread. Looking at the financials I see that Sales/GFA has constantly dropped over years- from a high of 9.5x to right now at almost 1x. Just wanted to understand as to why would a technology company require such high Gross block because the sales have been flattish at least in the last 4 years. The stock can be considered for accumulation on dips as the as the business is highly scalable, enjoys strong operating leverage and looks well positioned to grow in an increasing digitizing world economy.